From launching the world’s first mass-produced hybrid car, the Prius, in 1997, to providing a blueprint for modern manufacturing through the Toyota Production System, Toyota has long been a trailblazer in the automotive industry, and there’s more innovation today, and in the future, to enjoy and look forward too. We take a look at six recent projects from the Toyota Motor Corporation (TMC) that are true to Toyota’s founding spirit – To enrich society through making things. Since 2011, the Toyota Motor Corporation has run a ‘Partner Robot‘ programme, which builds robots that provide solutions to some of lifes annoyances and hardships. 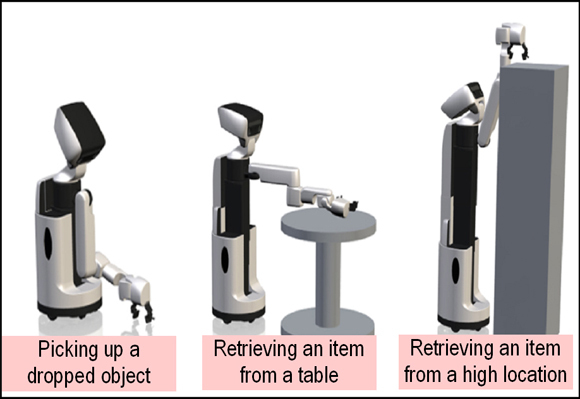 Comprising four catergories – Medical and Welfare Support, Mobility Support, Life Support and Work Support – a series of robots have been invented under the programme, including the Human Support Robot (HSR) – a robotised butler that aims to improve the quality of people’s lives around the home. There is also the Walk Training Assist and Balance Training Assist robots, which are designed to assist in the rehabilitation process of injured hospital patients. 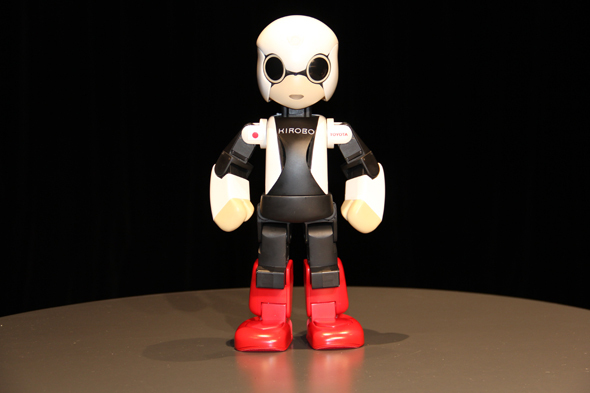 Kirobo is a cute 34cm-tall robot whose human face recognition software was devloped with the help of Toyota in Japan. 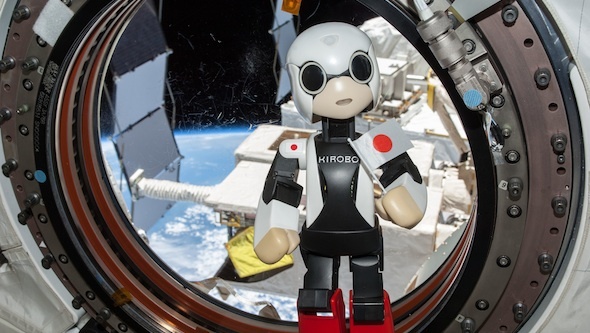 He provided companionship to astronaut Kochi Wakata of the Japan Aerospace Exploration Agency (JAXA) on a mission which launched from the Tanegashima Space Centre in Japan, in August 2013. Last year saw the development of two key safety technologies from TMC – the Pre-Collision System with Steer Assist and Automated Highway Driving Assist. Designed to take evasive action to avoid a crash autonomously, the Pre-Collision System with Steer Assist uses radar detection to spot pedestrians and other hazards – day and night – and then initiates alerts and automatic braking and, where appropriate, automatic steering to reduce the risk of an accident. Automated Highway Driving Assist (AHDA) has been developed to ensure safer motorway driving without compromising driver enjoyment. Linking Co-operative adaptive Cruise Control, which ‘talks’ to vehicles ahead to maintain a safe distance; and Lane Trace Control, which helps steer the vehicle on an optimal driving line within a traffic lane, the system has been mooted to enter the market later this decade. 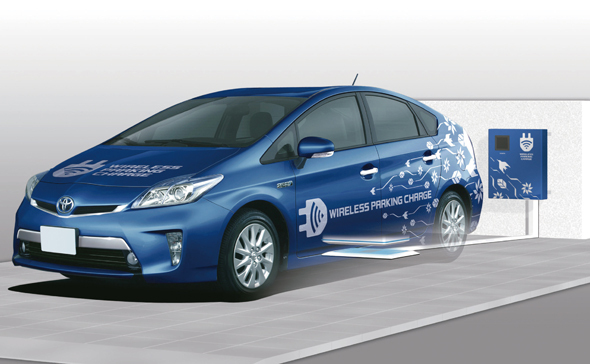 In Japan, TMC has begun testing a new wireless charging system it has developed for electric vehicles (EVs) and plug-in hybrid electric vehicles (PHEVs). The technology allows cars to be charged by parking in alignment with a coil set into the surface of the ground – alleviating the need for cables and connectors. There’s currently no official word on when the technology will reach your driveway. 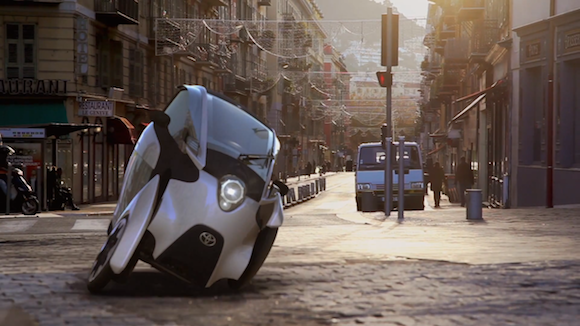 The Toyota i-Road is a super-cool electric three-wheeled ‘personal mobility vehicle’ – first unveiled at the 2013 Geneva Motor Show. It has since been unleashed on the streets of Tokyo and Grenoble, and at Toyota City, on a trial basis. To see if the well-received concept would work in the real-world, TMC decided to test the car on the densely populated streets of Tokyo in March, with 10 of the single-seater vehicles taking to the city streets. Twenty people were involved in the programme, and they ranged from industry experts through to members of the public, to gain a wide range of feedback on the i-Road’s usability. 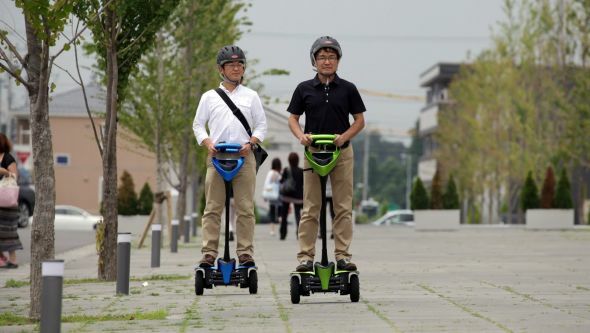 In 2013, i-Road was added to the TMC ‘Ha:mo trials’ at Toyota City in Japan. Ha:mo is an urban transport system designed to combine public and private transport – its aim is to improve traffic flow and minimise emissions. The system comprises a combination of electric vehicle car sharing and traffic routing information –ensuring city dwellers use the most appropriate form of transportation. The i-Road joined some 70 Toyota vehicles in a car-sharing project in Grenoble, France, in 2013. The project aims to find out people’s attitudes to car sharing and their priorities, and to research further into how different modes of public and personal transport can be interconnected in urban centres. If you’ve ever seen the famous ‘Chimpanzee riding on a segway’ video on YouTube, then chances are – you’ll want a Toyota Winglet. Debuting in 2008, the Toyota Winglet personal mobility concept was developed to take the strain out of walking in response to Japan’s aging population. In June last year, the concept entered a three-year public trial programme on the streets of Tsukuba, Japan. In all, 80 local authority workers and employees of the National Institute of Advanced Industrial Science and Technology used the Winglet as part of the trial. The Winglet has a top speed of around 3.5mph, and is capable of travelling six miles on a single charge. Recharging the battery from empty to 80 per cent capacity takes 60 minutes, and a full charge takes 90. Assessments for production continue this year. Geat seeing all these emazing business oportunities where Toyota is involved. Ralf Nuyken. Toyota Material Handling Europe. Thanks for your post Ralf and glad that you are enjoying our Blog.